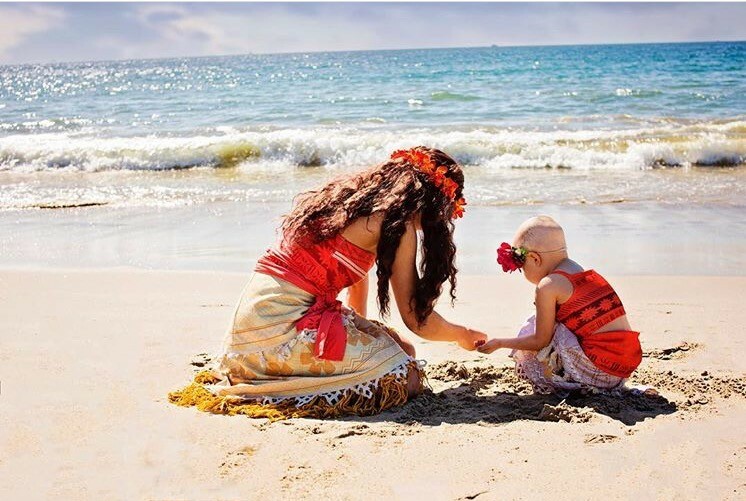 Aloha Princess Shows Us the Power of Love! Let’s see what the power of friends can accomplish! With friends to help us along the way, we can overcome almost anything that happens in life! Aloha Princess knows that we must let our inner beauty, strength, and wisdom help us reach the horizon when facing a difficult situation. Recently, Aloha Princess met a special friend who showed her that even in one of life’s toughest battles, you can still find positivity and joy. 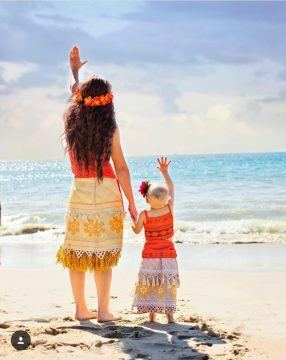 Aloha Princess traveled far across the ocean to spend a fun afternoon at the beach with her new friend Kailyn where they talked, played, and shared sweet moments together. Kailyn is a beautiful, vibrant little girl who last year was unfortunately diagnosed with A.L.L. – High Risk B-Cell Acute Lymphoblastic Leukemia, a type of cancer. However, despite the new challenges she faces with her health, she is still a little girl who loves embracing life, walking her dog, playing with her stuffed animals, and princesses! Just like her new friend, Kailyn’s beauty truly shines from within! 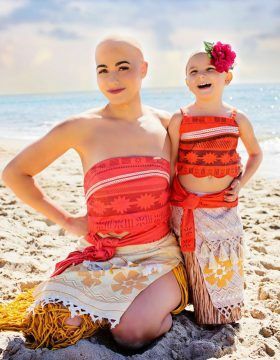 Aloha Princess worked with some incredible friends, and one ofthem created a bald cap, so when the time was right both Kailyn and Aloha Princess could walk to the horizon and remove their wigs together to celebrate their strength and beauty within! Aloha Princess shows us how to triumph against life’s uncertainties and is confident Kailyn will do the same! If you wish to help Kailyn and her family, and follow her journey, her parents have set up a GoFundMe page. Click on the link here to check it out!